Whether you’re looking for things for the home and garden, electricals, toys, gifts or beauty products, the Argos Outlet is jam packed, just like their catalogue. They have a range of refurbished items and products to click and collect, saving you on the postage costs. Also, Argos have a clearance page on their own site too. 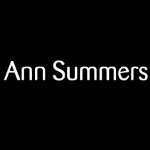 After some lingerie, so something a little…erm…different, Ann Summers eBay store is packed full of items offering a discount of up to 70%. To you keep your mind at ease, any transactions you make with them will show as “AS eBay” on your bank statement and orders arrive in plain, discreet packaging. 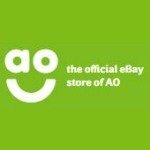 All items sold on the AO eBay outlet are brand new. They sell appliances like washing machines, tumble dryers, dishwashers, fridge freezers, cooking, floorcare and sound and vision. You can get free delivery on orders delivered between Monday to Friday. Babies R Us is part of the Toys R Us eBay store. They have everything you would expect from Babies R Us but cheaper! From maternity ranges, to baby toys, furniture, feeding, clothing and bathing, you can get prepared for your new arrival or top up on essentials from home. The Boden eBay store offers up to 60% off of thousands of women’s, men’s, girl’s and boy’s fashion. They offer free postage and packing on the majority of items stocked. The eBay Boohoo Outlet store is packed with tens of thousands of ladies and men’s clothing as well as footwear and accessories starting at just £1. They also do offers on postage and packaging from time to time (it’s free at the moment!). The Claires eBay Store stocks all the normal jewellery, accessories, items for hair and beauty. They also have a sale section within the eBay store too. However, this is a store, rather than an outlet so you may find items cheaper in store or on their site than they are on the eBay store. Known as a quality shoe retailer for men, women and children, Clarks Outlet uses their eBay store to sell on sale items. A lot of the stock also appears on their website at the same prices. You can also get free postage with purchases from the Clarks eBay store. 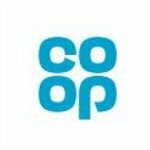 Check out the Co-operative Electrical eBay store if you are after household appliances, TVs, gaming, audio or photography kit. Their eBay range is stocked with brand new, in box goods that all come with a manufacturer’s guarantee. The Currys PC World eBay Store offers electricals and laptops at reduced prices. A number of their products have been refurbished, meaning that they may have been pre-owned or have undergone repair but the items are in full working order. They also stock a range of items that are exclusively priced for eBay. The Debenhams eBay Store features fashion for the family as well as items for the home and gift ideas. Everything is sold as buy it now and they have a number of extra clearance offers. And the best news: everything is sold at sale prices! 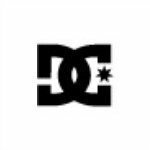 The official eBay DC Shoes outlet stocks men’s, women’s and kid’s skateboarding gear. Although aimed at performance skateboarders, it has a fashion following in its own right. You can also find lifestyle shoes, apparel, snowboards, snowboard boots, outerwear, and accessories with free delivery, no matter how much you order. 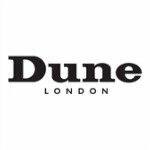 The Dune London outlet offers luxury branded clothing, shoes and accessories for both men and women – at reasonable outlet prices. You can sign up for their newsletter while over on eBay too and they will send you exclusive offers and discounts. All machines sold through the Dyson Outlet are refurbished or end of line cleaners and come with a manufacturer’s guarantee, plus have free delivery. The end of line stock has a five-year guarantee for uprights and cylinders and a two-year guarantee for the Dyson handhelds. Refurbished stock has a two-year guarantee for uprights and cylinders and a one-year guarantee for handhelds. 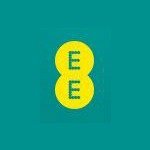 You can buy phones, SIM cards and accessories on the EE official eBay store. Their SIMs come with 4GEE at no extra cost. Everything you buy on the EE eBay store is new and comes with a full 12 month manufacturer’s warranty. So you need to carry out some car maintenance or servicing but you don’t want to pay over the odds? 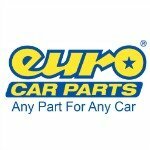 Then take a look at the eBay Euro Car Parts outlet store. They are packed with hundreds of thousands of items offering free standard delivery. Prices are chopped by as much as 72% off car parts and tools. Getting engaged, getting married or you just fancy treating your self or a loved one? 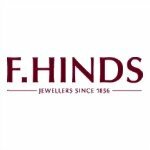 The F Hinds outlet on eBay has a whole lot to offer with up to 50% off diamonds, jewellery and watches. You can get free delivery on all orders over £19. The Figleaves eBay store offers discounts on lingerie, swimwear and men’s designs too. All discounts and products are exclusive to the Figleaves eBay store and once they’re gone, they’re gone. Whether you’re looking for bikes or accessories for your car, the Halfords eBay Store has loads of items on sale. They offer free delivery on orders over £30 and a free click and collect service to their stores. 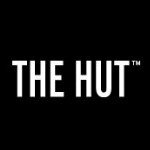 The Hut eBay outlet store has massive savings on branded clothing and footwear for both men and women. They also feature deals of the week and hold a past season clearance section to get some really good bargains, all with free delivery. You can get up to 50% off at the Joules eBay store where you’ll find women’s, men’s, children’s and baby clothing..
You can also get free postage and packing on their whole outlet range too. 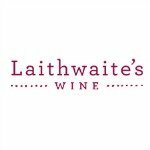 White, red or even a mixed case of wine is on offer from the Laithwaite’s Wine eBay store. 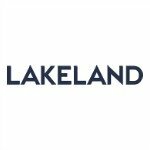 Lakeland outlet features items to help you in the kitchen as well as products to make cleaning your home easier. They even have a price promise on the stuff they sell. If you find an identical branded item at a lower price with another retailer, their Price Promise means that they’ll match the price for you. The Laura Ashley Outlet Store on eBay features all items with up to 70% off and final reduction items with up to 80% off so you’ll be sure to find a bargain. Their items are either cancelled or returned orders. They sell two quality levels; first quality items are in perfect condition and second quality items have imperfections or defects but they add descriptions so you know what you’re buying. If you fancy treating yourself, or a loved one, but don’t to pay full price then why not buy from a the Links of London Outlet? You’ll find women’s, men’s and children’s jewellery and gifts at some great prices. Whether you are after clothing, toys, electricals, jewellery or home furnishings, the Littlewoods eBay clearance store has a huge range of products. They also have a number of product sales that run on an auction basis, rather than buy it now. 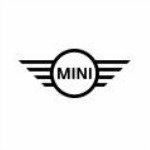 Whether you are after a new set of wheels, some alloys, or interior and exterior parts, the Mini Direct store is packed! It also stocks Mini merchandise like clothing. There is free delivery on everything, all parts are genuine and they come with a two year warranty. You can get up to 70% off items for mother and baby in the Mothercare eBay Store. Whether you are looking items for expectant mums-to-be, or are looking to kit our your baby’s nursery, Mothercare have a huge range to help. 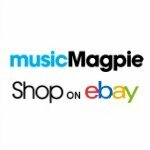 If you’re after cut price entertainment and electronics including CDs, DVDs, Blu-Rays, games and mobile phones then the Music Magpie eBay shop is for you. They sell many pre-owned and reconditioned games consoles, iPods, iPads and phones, with many items offering a new warranty, giving you peace of mind if something goes wrong. They also offer BOGOFs and deals on their already reduced priced entertainment range. The Nissan eBay Store doesn’t sell cars but instead sell all different sorts of car parts such as wheels, bulbs, engine pars and brakes. Most items sold have free delivery and come with a one year warranty, covering any manufacturing defect. 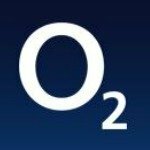 o2 eBay outlet sell brand mew phones, laptops, cameras, GPS and tablets which are brand new and come with a full 12 month manufacturer’s warranty. They do occasionally stock “nearly new” handsets but it will be clearly marked in the listing. 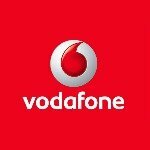 Nearly new handsets have been returned within the 7 day return period and have been fully tested and repackaged. You get the same 12 month warranty as if new. 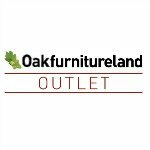 Oak Furniture Land outlet offers items that are both new and from their discontinued, clearance or excess stock ranges. The outlet features items that are no longer available in store. You can get dining room, living room or bedroom hardwood furniture for up to 70% off their normal prices and with free delivery. The Office Shoes Outlet stocks a huge range of its own and branded shoes such as Vans, Converse and Timberland at discounted prices. They offer buy it now and auction styles sales, with prices starting at just 99p! They also offer combined shipping discounts if you’re planning to buy 10 pairs! 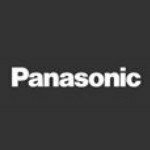 Panasonic Outlet on eBay stocks refurbished products that are customer returns. The items have undergone testing, assessments and any repairs before they make it to the eBay store. All products come with a new one year manufacturer’s warranty so you have added peace of mind too! 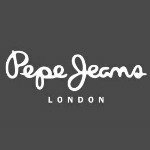 If you’re into your fashion then the eBay Pepe Jeans official storeis probably for you. With all things denim for men, women and kids, the store currently has thousands of products on offer – all with free shipping. 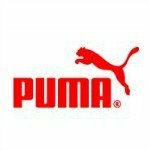 The PUMA eBay store offers trending football, running, training and golf wear for men, women and children. With prices coming in at about 50% you are going to get a bargain, as well as free delivery on orders over £25. 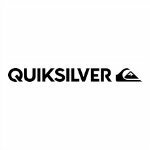 Offering clothing suitable for surfing enthusiasts, the Quicksilver eBay outlet store features boardsports clothing and accessories for men, women and children – with up to 70% off the RRP. The items in their store have not been used before and are 100% genuine. They offer free standard delivery on all items in the UK. The Regatta eBay Store holds a huge range of discounted men’s, women’s and kids’ waterproofs. They also stock bags and accessories with up to 80% off original store prices. 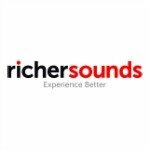 For all your TV, HiFi and home cinema needs, look at the Richer Sounds outlet. They sell stock which has been returned by the customers; however, it’s fully checked and tested before being sold on. They also offer next day delivery if you order by 2pm. For all your stationery and office supplies needs, the Ryman Outlet on eBay offers everything from printer cartridges to office furniture. You can get free delivery on orders over £15 but the prices look quite similar to the main website. The only real benefit is that you’ll tot up Nectar points if you buy through eBay. At the Sports Direct Outlet you’ll find thousands of discounted men’s, women’s and kids’ sports gear. There are hundreds of thousands of items up for grabs with prices cut by up to 80%. Superdrug Outlet stocks end of line and discounted products that have been in the Superdrug range over the last 12 months. The stock fragrances, make up, hair and beauty products, toiletries, health products and even have a holiday shop – all with free standard delivery. The Sweatshop Outlet store on eBay is the place to go to if you are a runner. Whether you are a man, woman or child, you can browse their discounted ranges of running clothes, shoes, accessories and nutritional items. With up to 82% off certain items, the Superdry eBay Store stocks men’s and women’s clothing, shoes and accessories. They feature different weekly offers as well as free delivery. 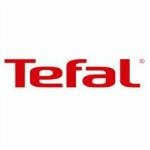 Tefal invented non-stick cookware and now you can get it from Tefal outlet on eBay. They offer new and refurbished cooking appliances, linen care, items for food preparation and cook ware. When an item has been refurbished it will state this on the listing. eBay Tesco Outlet stocks both refurbished and new items and all come with a Tesco Outlet Warranty. What you find on the Tesco eBay store cannot normally be bought direct from the shop as they are end of line, returns or refurbished stock. Unfortunately, this is the only store that you can’t collect Nectar points. 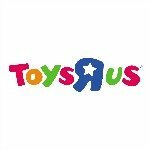 Packed full of toys with up to 50% off, the Toys R Us store offer great value for money. Whether you are after teentronics, video games, bikes and outdoor games or he more traditional board games then you’re covered. It’s full of family favourite brands and there are toys for all age groups. A pharmacy may not be the first thing you think of when it comes to an outlet store but eBay has them! 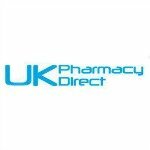 UK Pharmacy Direct is registered with the MHRA so you can feel safe purchasing through them. They offer many products for your healthcare needs, especially if you can’t get to the high street to meet a pharmacist, including multi-vitamins, medicines, smoking cessation and baby products. 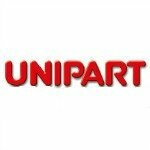 Unipart Autostore eBay outlet sells a wide range of discounted car parts and car accessory items. They offer products for your car, van, truck and trailer. They offer a 30 day return policy on their eBay store as well as offering express delivery. There are loads of discounted clothing and homewares in the Very Clearance outlet store on eBay. They offer both buy in now and auction style sales, with bidding starting at 99p. Whether you are looking for men’s, women’s or kid’s clothing, or are looking for a bargain wedding outfit, the store if packed with clearance goods. They offer free delivery on all items in the UK. The Wordery outlet offers books of all kinds on the cheap. 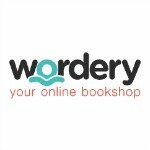 They are the largest UK independent book store and boast over 150,000 books on their eBay page. They have a huge choice of non-fiction books to help develop you and a whole host of biographies to keep you entertained for hours. 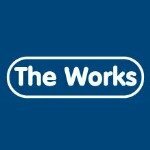 The Works outlet store on eBay offer you all their already discount products but on clearance. This means getting their items for nearly 80% off the price. You can get books, stationery, toys & games as well as arts & crafts and many items are cheaper than you could in store – plus some items come with free delivery as standard too. Zavvi eBay outlet is packed with discount computer games for Wii, PS3, XBox and Nintendo DS, as well as old and new releases on DVD and Blu-Ray. Most items come with free standard postage and packaging.